The Argentine striker scored 29 goals last season to finish as the league’s joint-top goalscorer alongside Lazio’s Ciro Immobile. Icardi’s tally helped Inter finished fourth in the standings and secure a return to the Champions League after a six-season absence. 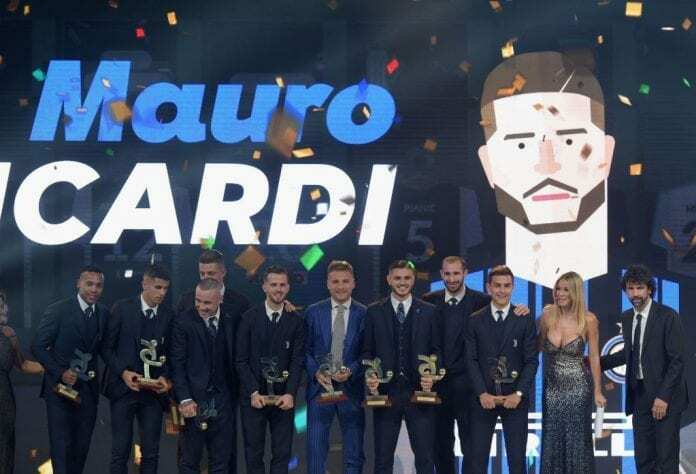 Now Icardi’s efforts over the last 12 months have been awarded with the Gran Galà del Calcio AIC announcing on their website he had been voted player of the year. It means Icardi becomes the first non-Juventus player to win Serie A’s Footballer of the Year since Zlatan Ibrahimovic in 2011. Juventus boss Massimiliano Allegri was voted as the Manager of the Year for a fourth consecutive time.